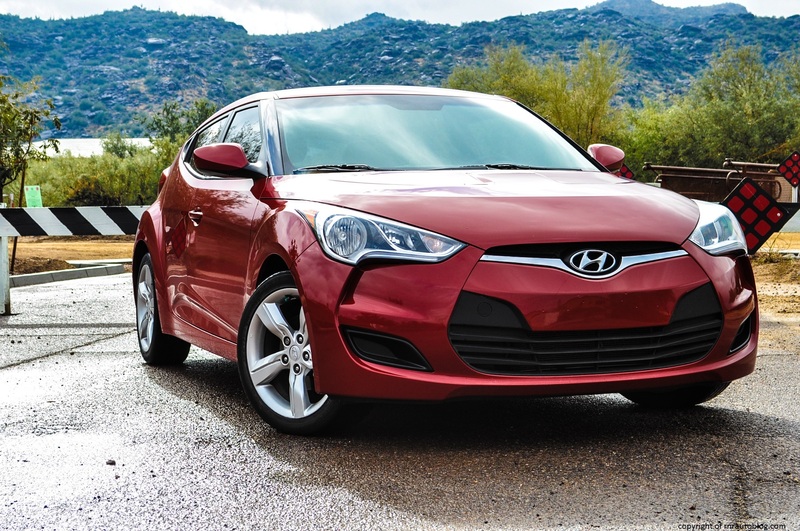 One thing is obvious, this isn’t your ordinary Hyundai. Everywhere you look, there are concave surfaces or swoopy lines abound. The front is well done as it is both simple and adventurous. 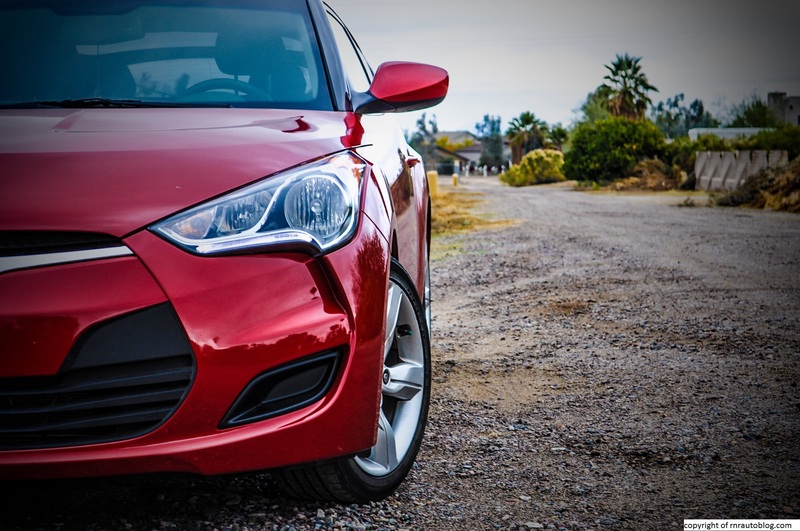 The headlights look sharp, and I like the cutouts below the headlights. It adds flair to the front. 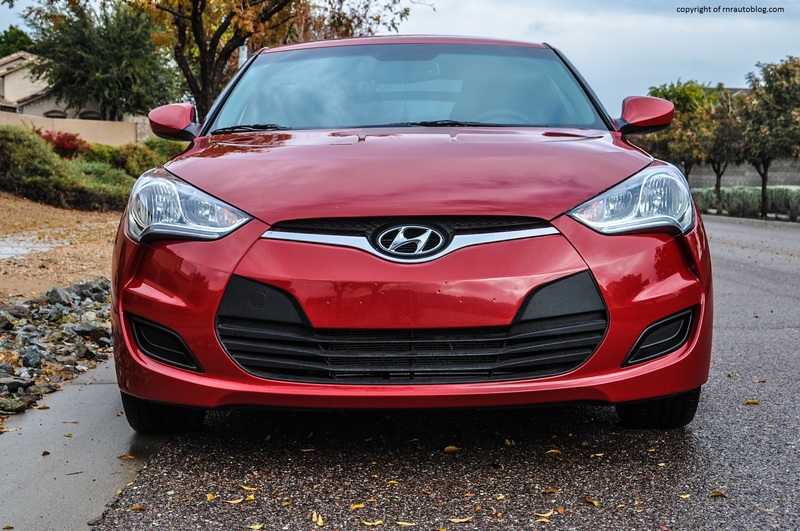 In an era where cars are increasingly utilizing bold and brash grille designs, the Veloster’s straightforward grille is refreshing. 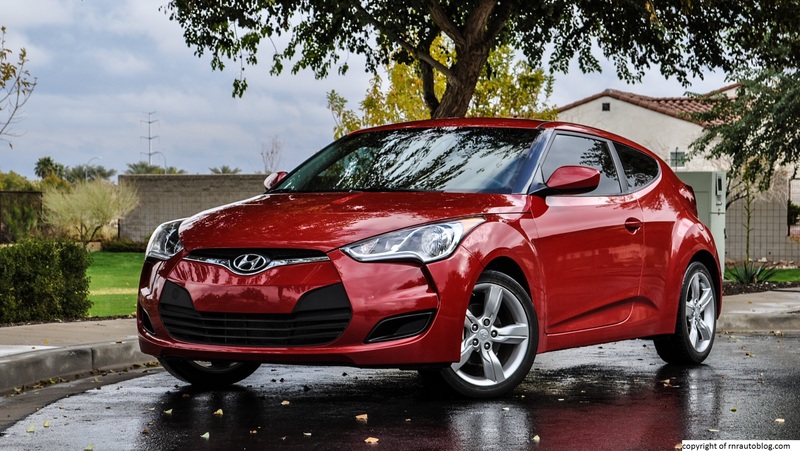 The only major flaw I have with the front is the body colored bumper right below the Hyundai logo. It dips below (into the black segment) for no seeming reason. This creates friction in what is an otherwise smooth profile. 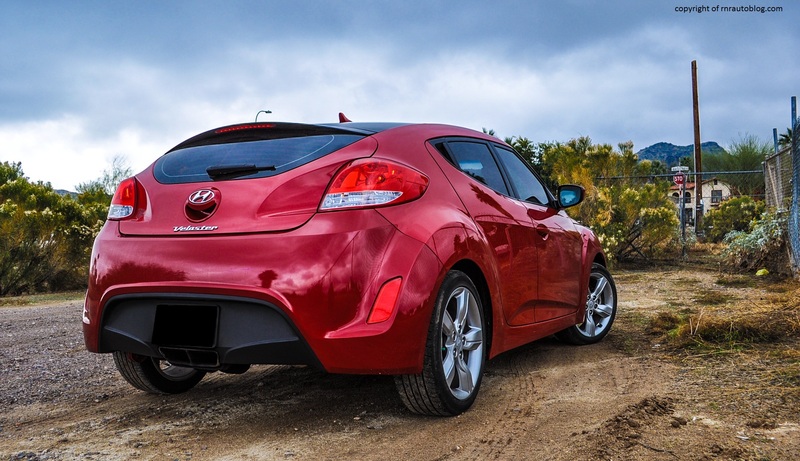 The side profile is where the Veloster really starts to come into its own. Its party piece is three doors, two on the passenger side, and one on the driver’s side. This arrangement looks neat because on one side, it looks like a sporty coupe, but on the other side, it looks like a family car (kind of). I like the three doors because I can use it to confuse people. 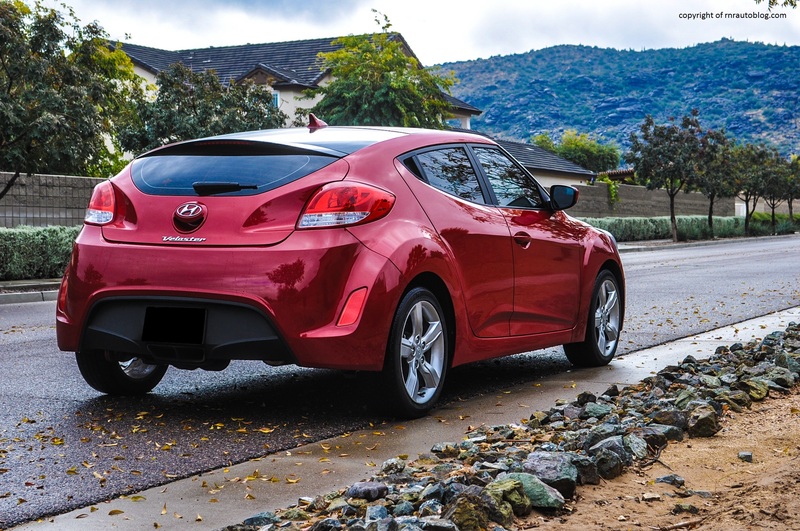 The fender flares line up with the headlights, giving it a tough stance. The front pillars are colored black, which lends a wraparound look to the roof. The crease in the lower portion of the doors is unnecessary and detracts from the overall profile. 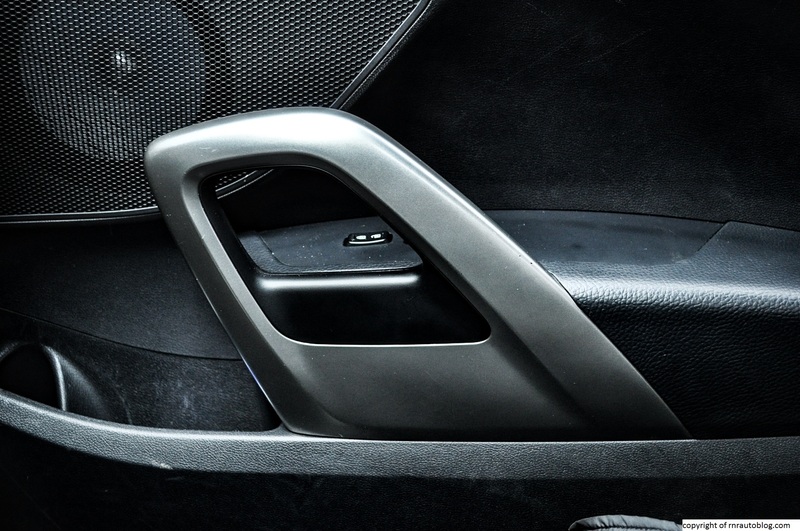 On the passenger door, the rear door handles are recessed in the window line, a neat touch. 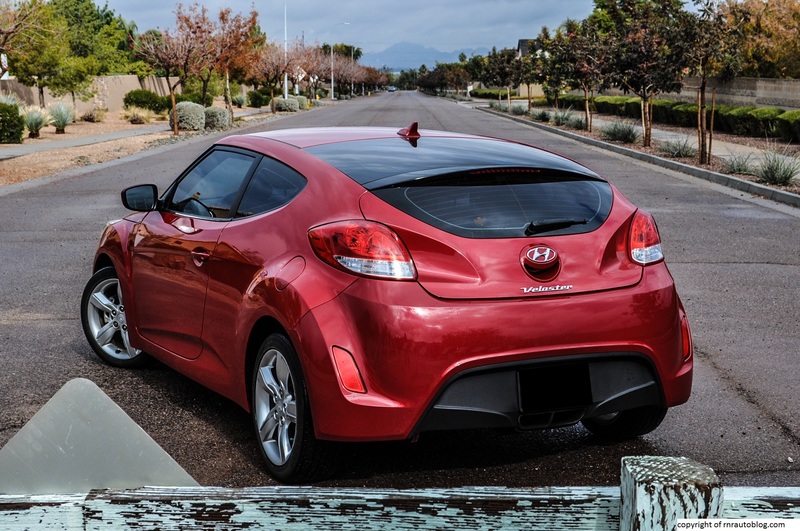 The roofline descends noticeably towards the rear, giving it a sleek look. The rear utilizes simple taillights. 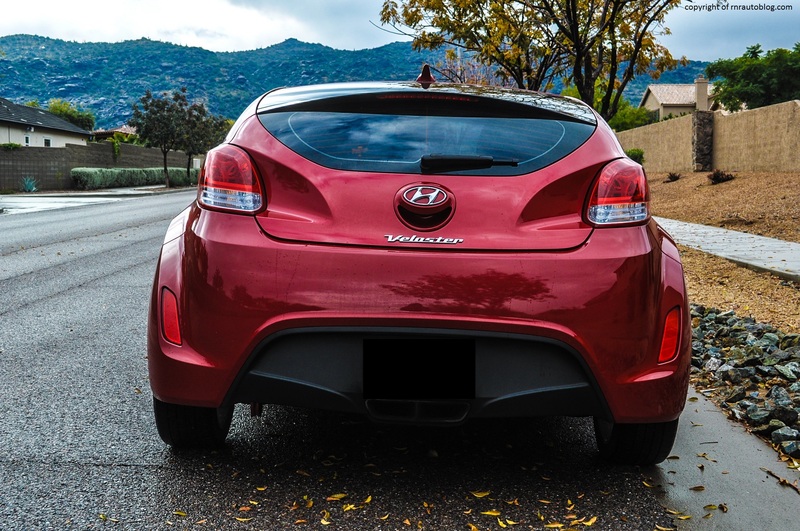 At first, I thought that the hollow surfaces around the taillights was unusual, but it adds to its style. 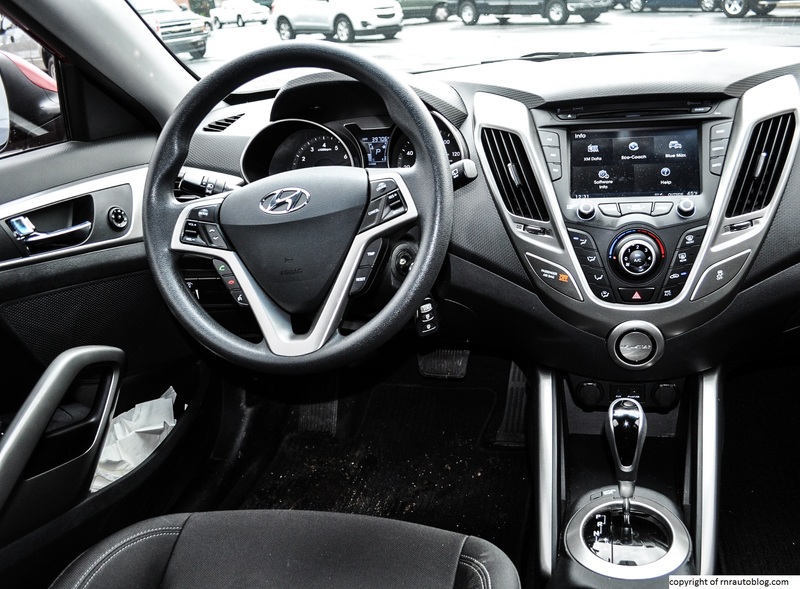 The interior looks futuristic, and I love the design for the HVAC (heating, ventilation, and air conditioning) controls although the color scheme is a bit somber. 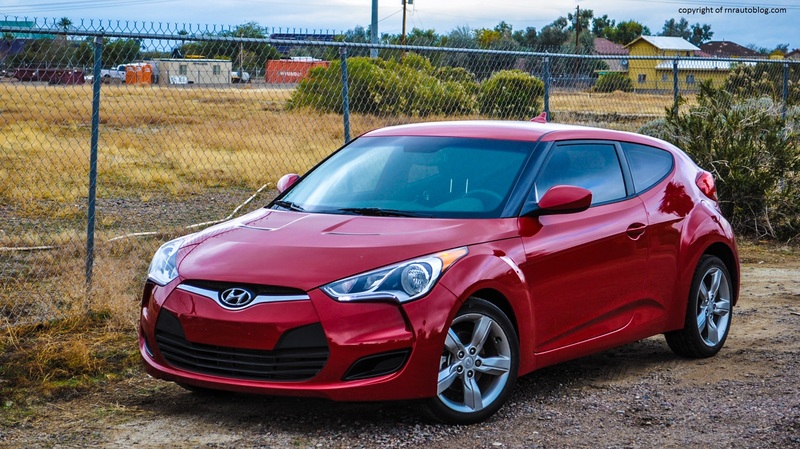 I have to admit that I was a bit prejudiced when it came to reviewing this car. 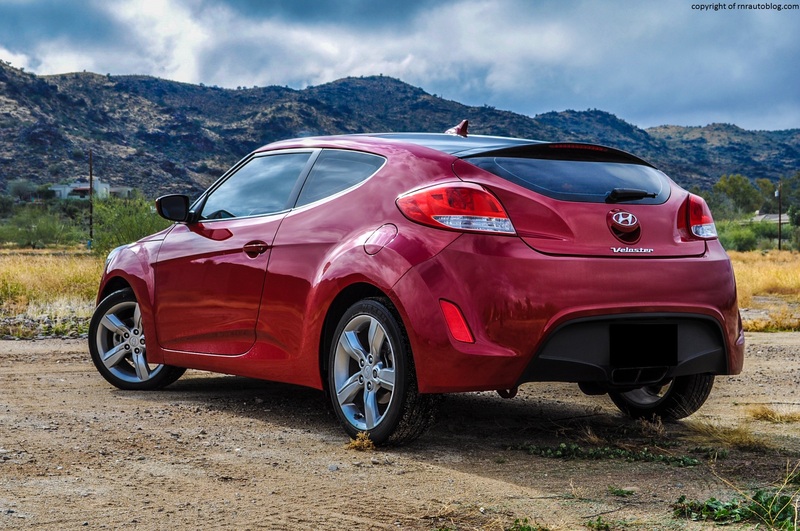 The Veloster looked like one of those cars that talked the talk, but didn’t walk the walk. However, that all changed when I drove it. It is actually fun to drive. I don’t mean fun in the sense that it is sporty and ferocious. I mean fun in the sense that it is tossable and spirited. 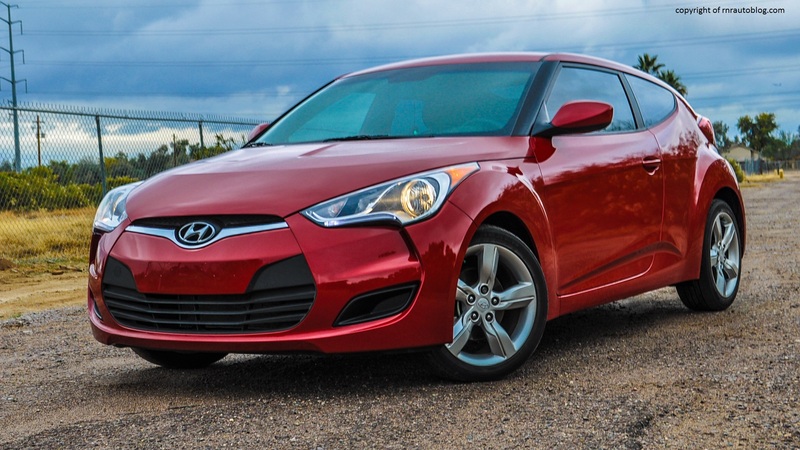 One of Hyundais’ weaknesses are its steering systems, and the Veloster’s is no exception. The steering is vague, and it does not convey any subtle road textures to the driver. Not only that, but the weighting feels inconsistent and downright artificial. It is light, but it abruptly firms up, especially in corners. It also feels too light at times, and it gets rattled easily by the bumps in the road. It also does not self center well, especially if you are doing a fast U-turn. This weighting can sometimes contribute to an overly nervous or twitchy feeling. 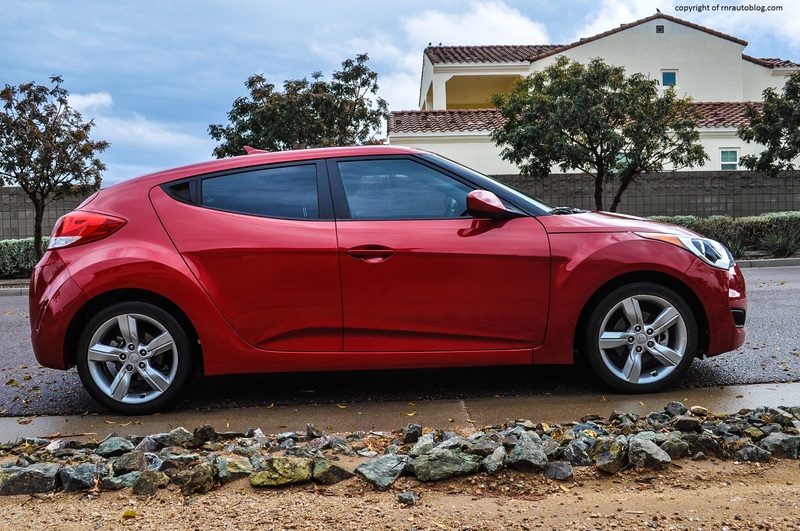 However, the Veloster’s fun feeling stems from its agility and body control. 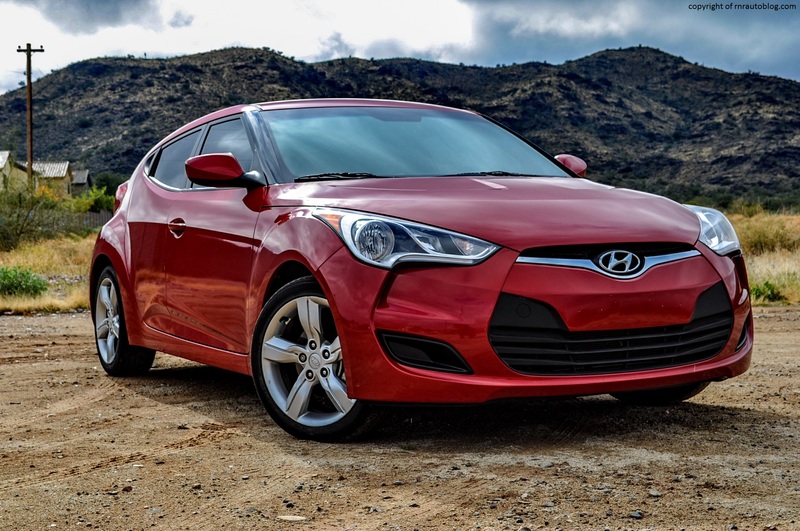 Aside from the steering’s lack of feel and erratic weighting, the steering is responsive. 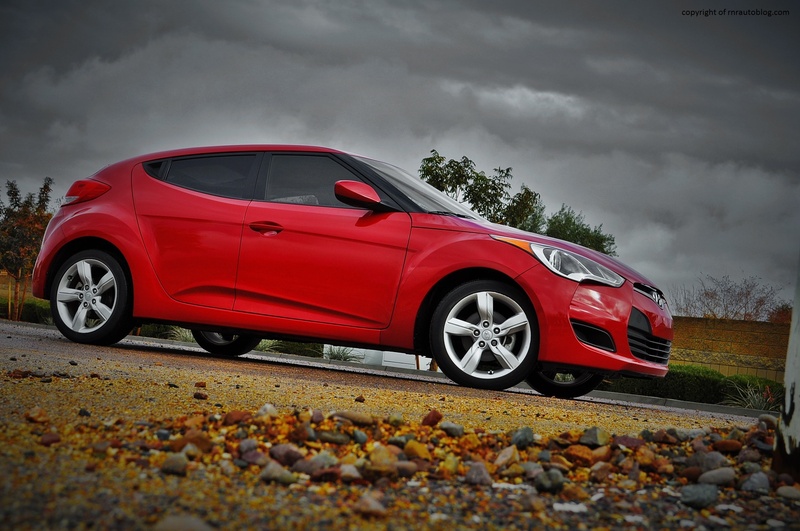 Body lean is scant, and the Veloster changes direction quickly. It is eager and willing at its limits, and it feels stable at any speed. 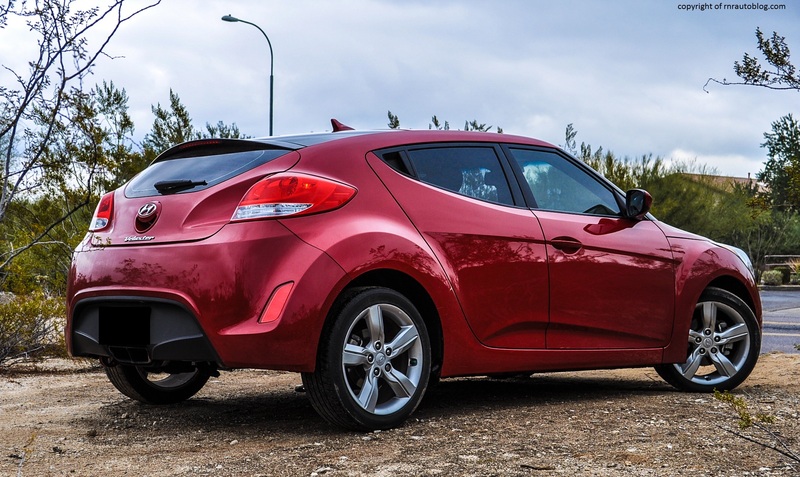 However, the trade-off for its supple body control is a fairly stiff ride. Bumps and poor road imperfections infiltrate the cabin, and it never really settles down. 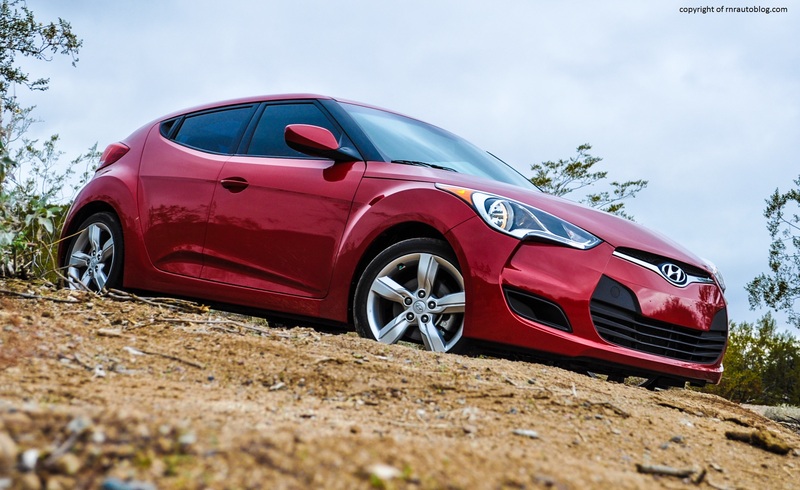 Initially, the Veloster was only available with one powertrain shared with the Hyundai Accent (the Veloster is based of Hyundai’s subcompact, the Accent). 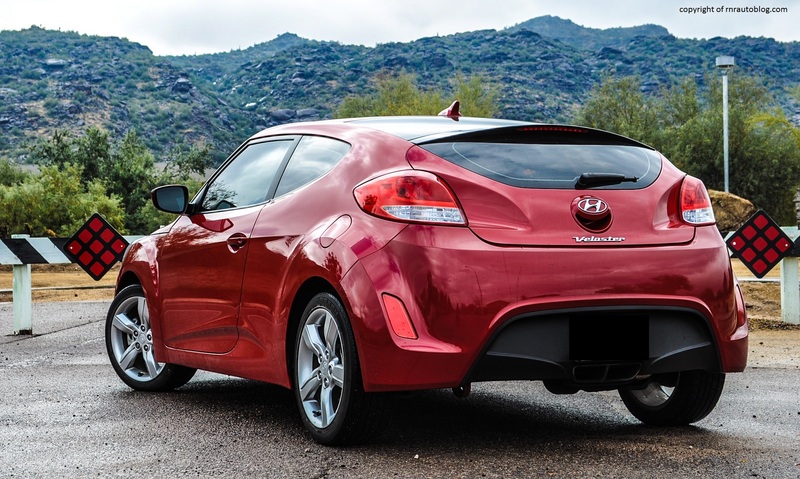 This powertrain consists of a direct injected 1.6 liter four cylinder good for 138 horsepower. 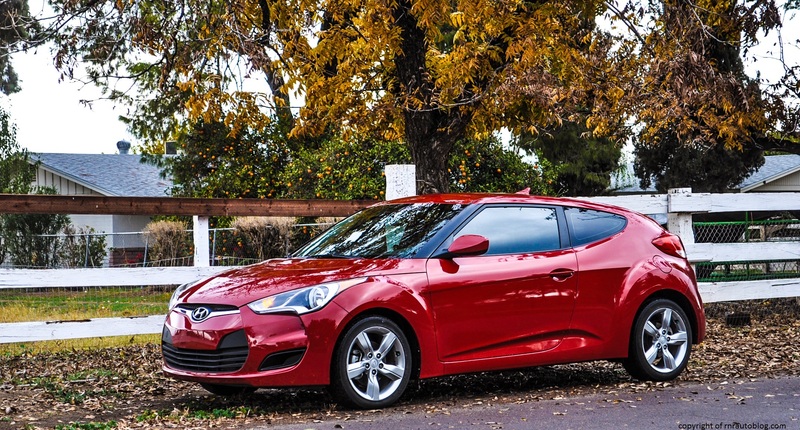 A six speed manual transmission is standard and a six speed dual clutch transmission is optional. 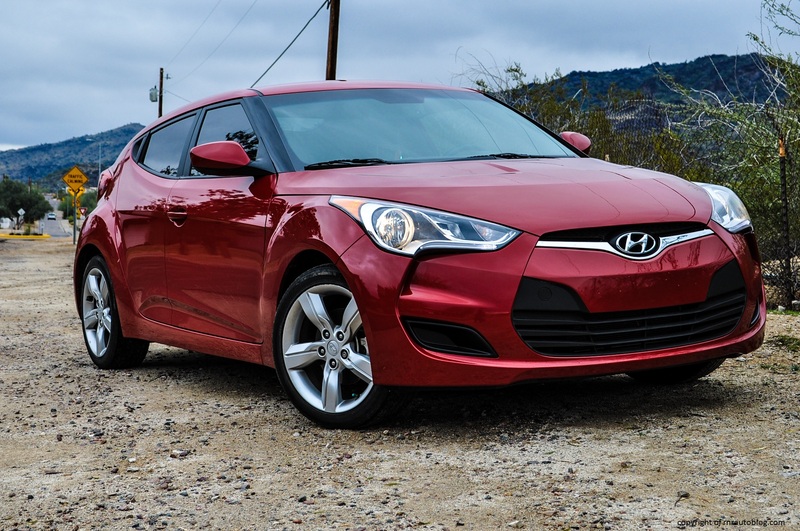 While I would go for the six speed manual, especially in a fun car like this, most consumers will buy the automatic. In that case, this dual clutch works fine most of the time. 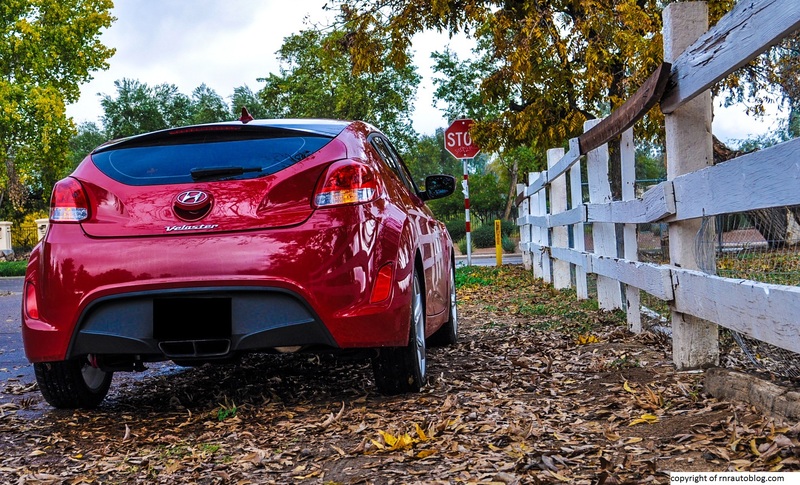 Occasionally, it will find itself in the wrong gear, hampering acceleration, and sometimes it hangs onto revs for too long. The four cylinder engine needs to be revved hard to extract usable power as sometimes at low revs, it feels strained. However, for most people, the four cylinder engine will suit them just fine. 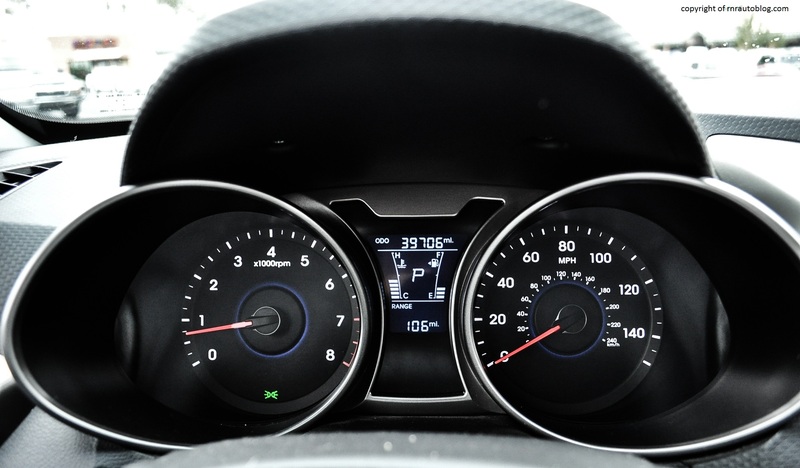 Fuel economy is excellent at around 31 mpg overall on regular fuel. 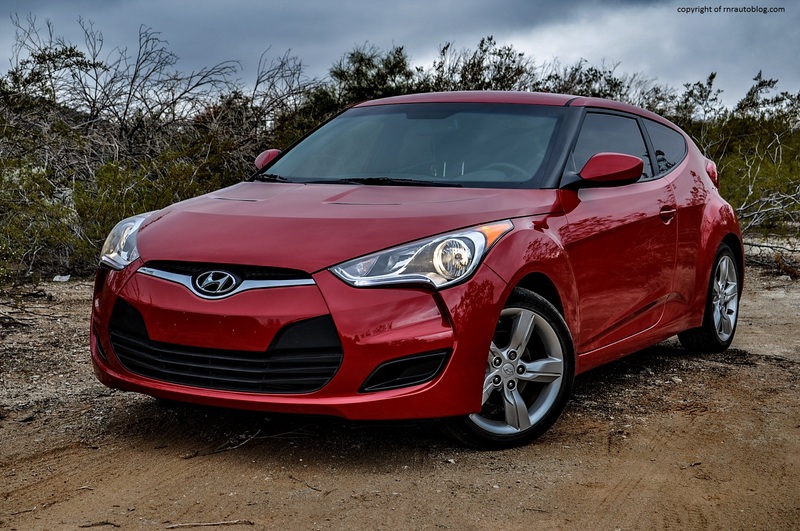 For those who wish for more power, a Turbo version debuted in 2012 with a 201 horsepower turbo four with the option of a six speed auto or manual transmission. 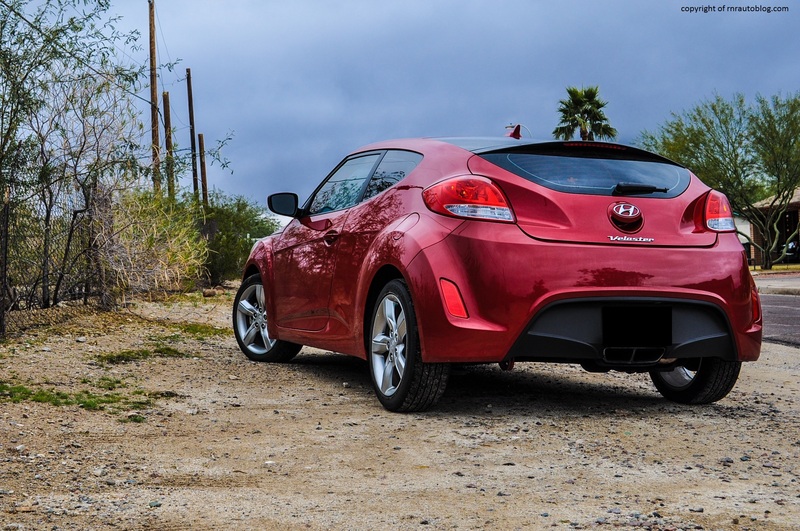 The Veloster is not the quietest place to be as road noise and engine noise is pronounced. The four cylinder is buzzy and could be more hushed. The first thing I noticed as soon as I sat in the driver’s seat was how comfortable and supportive the seats were. Even though they are cloth, the fabric used feels high quality. They wrap about you, and it feels like as if they mold around your body shape. The cabin has acceptable fit and finish, and everything feels well assembled. 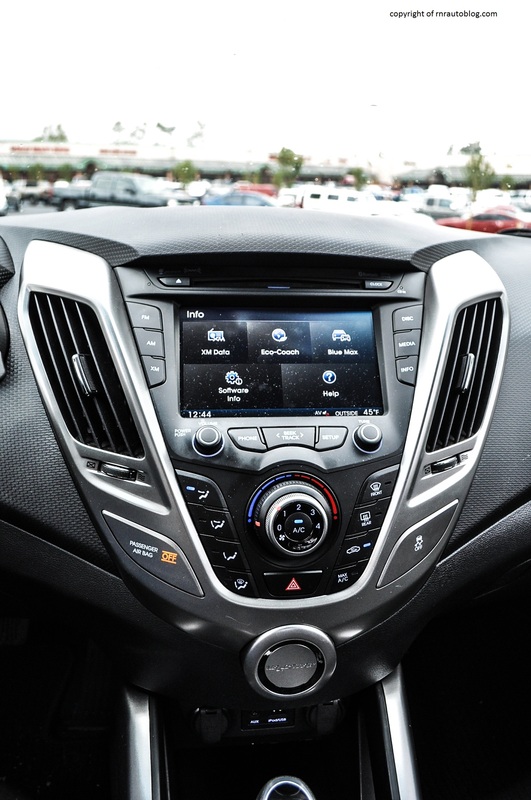 The touchscreen and controls are logically arranged, although the volume button for the radio should be bigger and more centralized. I kept mistaking the air conditioner controller for the volume, but that could just be me. The steering wheel feels nice to hold, and there is decent legroom and headroom in the front. The rear has adequate legroom, but headroom is meager, especially if you are at least six feet tall. The rear door makes access difficult due to a small opening. The cargo area is on the small side with the seats up, but the rear seats fold flat. The gauges are laid out well, with a trip computer laid out in the middle. Visibility is not the best, but it is tolerable, and cabin storage is acceptable. 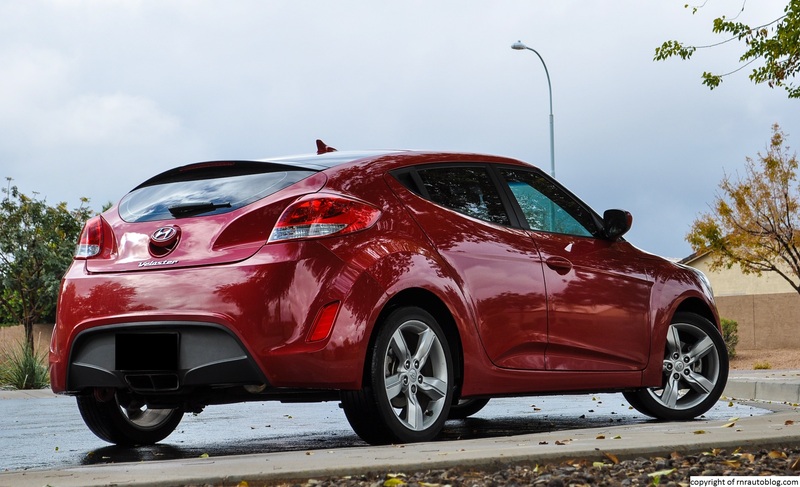 When the Volester came out, I was highly skeptical, and due to my previous experience of Hyundai (and its sister company Kia) vehicles, I imagined that the Veloster was a case of “it talks the talk, but it cannot walk the walk.” Don’t get me wrong, there are better options out there when it comes to driving enjoyment, but it is not the worst option if you want something fun. 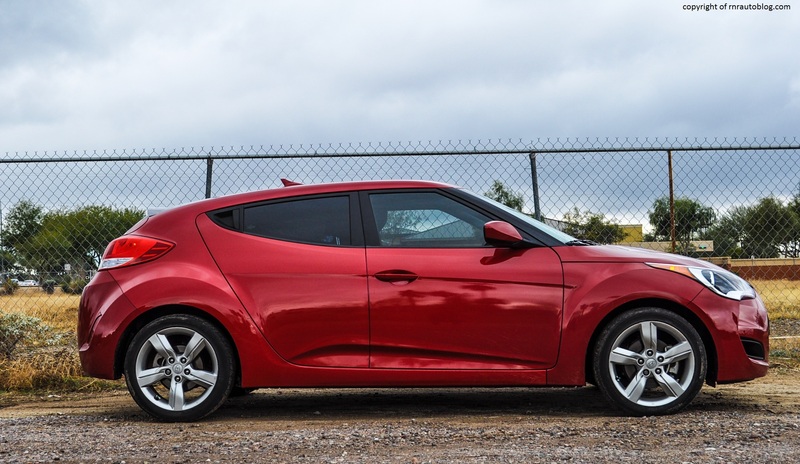 The Veloster is weird, yes, but so was the Nissan Juke, and look at how big of a hit it is, especially in Europe. My point being, we can all stand to take a chance to be different. 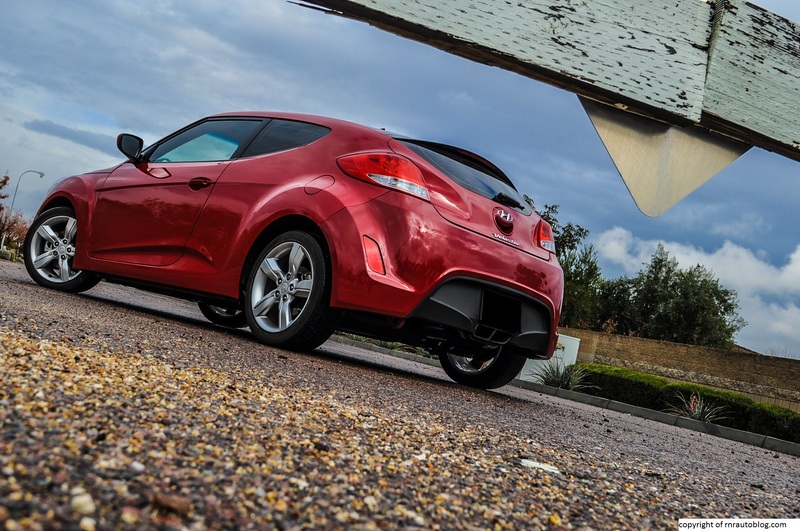 And that is what the Veloster is all about. This is not the car to take to the track, but it is fun nonetheless. 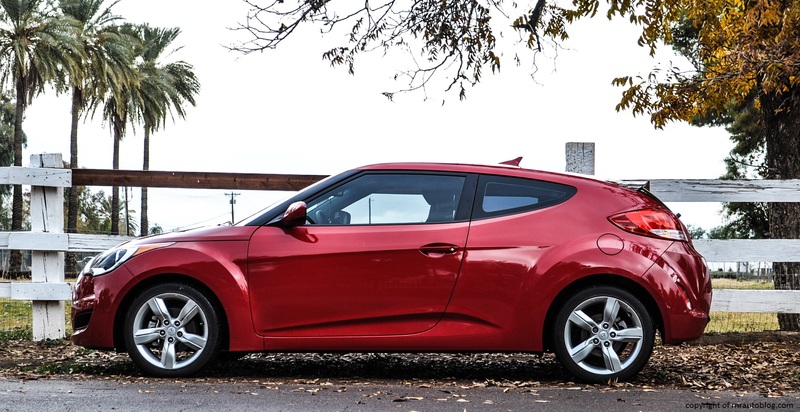 While it isn’t my cup of tea, I can appreciate the Veloster as a sign that there are some car manufacturers who want to produce niche and exciting vehicles. 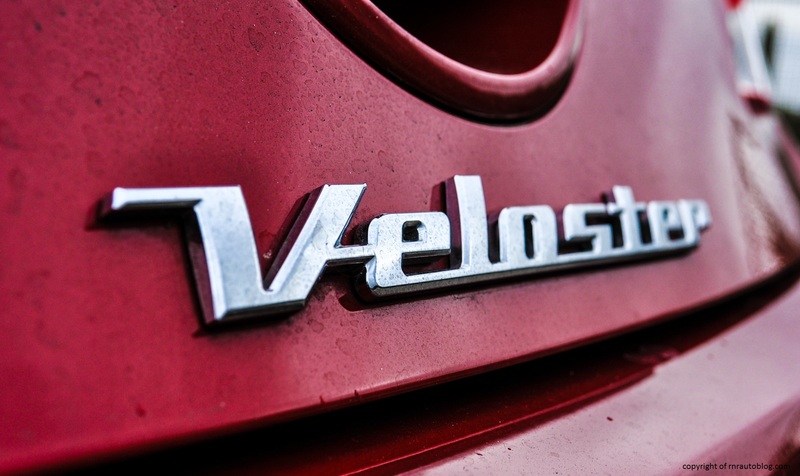 For some people, the Velsoter’s combination of fuel efficiency, affordability, practicality, comfort, and style could enough to satisfy their inner need to drive something different. Me? 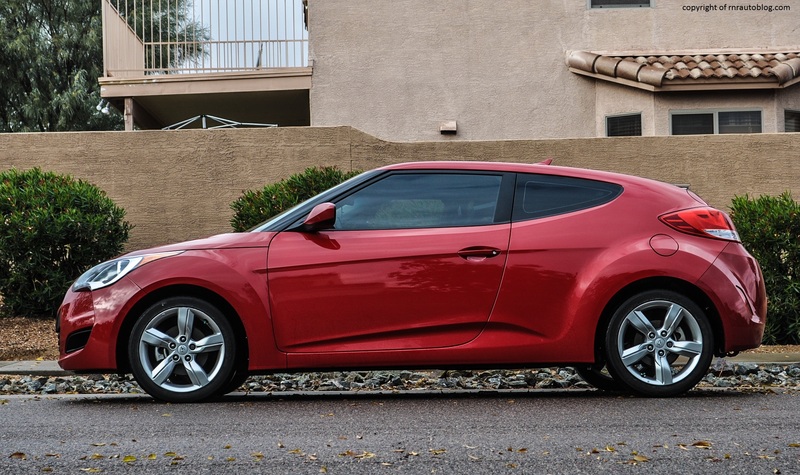 This Veloster wasn’t daring enough for me, but give me a 201 horsepower Turbo with a six speed manual, and I may reconsider. Thank you very much 🙂 Yes all the photography on this blog is done by me. If you want, you can email me if you need tips!